Ask (2015) is based on a simple idea – that learning what your customer wants is as simple as asking. The trick is asking in the right way. 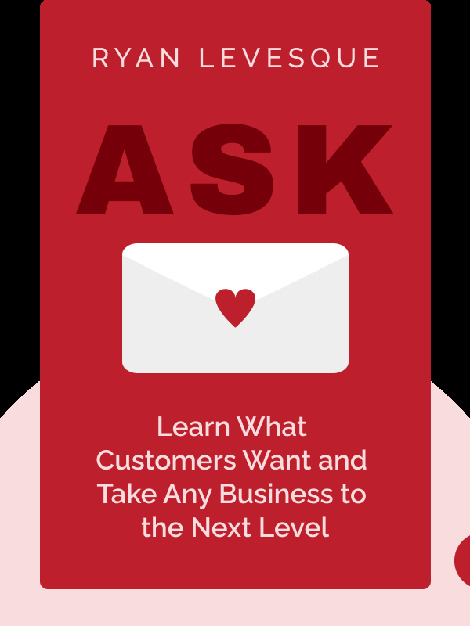 Full of immediately actionable insights into customer behavior, Ask gives you all the tools you need to uncover what your customers really want and give it to them. 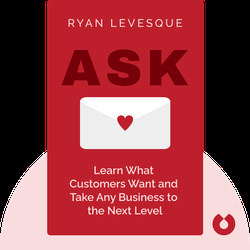 Known as the “conversion genius,” Ryan Levesque has led a successful career in business and has helped businesses in 23 different industries to increase their conversion and drive revenues. This is his first book.